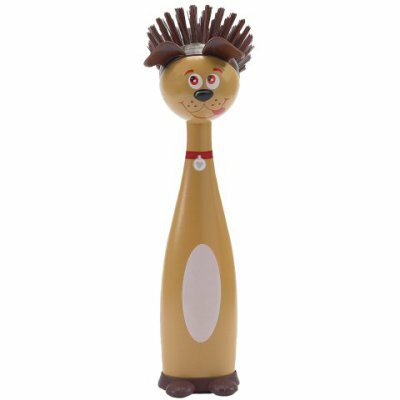 These cute scrub brushes make washing human dishes or pets' dishes a little more fun. Available as a dog or cat, these brushes have strong ergonomic handles that make the dog or cat's body, and each is wearing a cuted painted collar. Whimsical faces back the nylon scrub bristles. These are so cute, you might just learn to like to do the dishes! 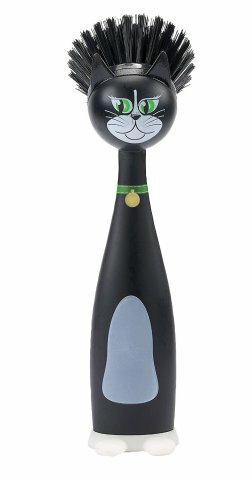 For more information about dog and cat kitchen dish brushes, click here.